I’ve been a jazz musician in Rochester all of my musical life and know that we as Rochesterians are very fortunate to have such strong community support for the arts. From public school music programs through area colleges to professional organizations like the Rochester International Jazz Festival and the Rochester Philharmonic Orchestra, our community is surrounded by institutions and opportunities to both listen to and perform music. On any given night there can be a dozen small clubs and restaurants that have live music around town that contribute to a musical culture that is rare a find outside of bigger cities such as New York City, Los Angeles, and Nashville. We are also very fortunate to have a thriving jazz scene in Rochester with so many great musicians, listeners, and one of the country’s last full 24-7 jazz stations, Jazz 90.1 FM. As a part of this community I’ve been fortunate to perform with many different musicians and catch different artists and club shows all over town. While we are unique in our support for jazz in Rochester, I believe one of the things that we need to continue to strive for is a greater sense of community. Jazz is a very delicate art form. Its existence relies on collaborations between musicians from diverse backgrounds as well as inclusion of the community as a whole. I’ve seen quite often that both musicians and listeners tend to fall into their own familiar “circles” and miss out on great music happening outside that "circle." I’m always surprised that even though I’ve lived in Rochester my whole life I’m still coming across local musicians and jazz lovers I’ve never met before! 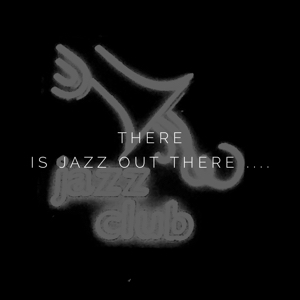 While we are all bound by the three certainties of this world (death, taxes, and more concerts than we can ever hope to attend), I also believe that as jazz lovers it is our duty to support a unified musical community. This means that in addition to going out and hearing your favorite Rochester jazz artists, set aside time to hear someone new or experience a new venue that is supporting music. If you are a musician, go to other musicians shows and invite musicians you haven’t played with before to sit in on on your shows (historically this is way most of the jazz greats got their start!). 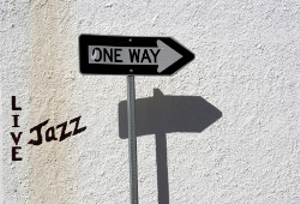 The well-being and longevity of this music requires that each of us invest a little of our time and energy into working to knit together the various “jazz-factions” into a unified community supporting live jazz. This Fall, I am excited to announce the beginning of a Thursday night jam session series at the Hyatt Downtown from 7:30 to 10:00pm at the Kraft Kitchen and Bar (overlooking Main Street on the lobby level). 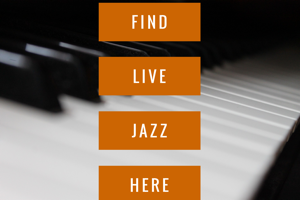 Instead of having the same band, each week will feature a different Rochester jazz artist where they will perform their own music as well as serve as the “house band” for a jam session. There is no cover charge and Jazz 90.1 and JazzRochester will be onsite for what I hope will be a true bi-weekly coming together of the Rochester jazz community. If you are a musician, I encourage you to come and sit in and meet other musicians in the community. If you are just looking to hear great jazz, the series will serve as both a portrait of the many great artists in town as well as a chance to hear and discover new ones. You can watch these pages for new events in this series. I hope to see many new faces this Thursday as the series kicks off and look forward to continuing to help build a thriving Rochester jazz community! Downbeat award winning baritone saxophonist Karl Stabnau currently lives in Rochester where he teaches jazz and music business at SUNY Brockport College. With musical styles spanning from jazz and blues to soul, funk, gospel and R&B he has made a name for himself as both a soloist and sideman. He has performed throughout the US and overseas sharing the stage with artists that include: Phil Woods, Lew Soloff, Chuck Mangione, Adam Niewood, Marvin Stamm, Pat LaBarbera, the Gil Evans Centennial Project, and the Glenn Miller Orchestra. In addition to being an active performer, Karl is director of Sonic Era where he oversees concert promotion and artist management in Western, NY. You may also recognize Karl as one of the managers of the "After-Hours" jazz jam sessions during the Rochester International Jazz Festival the past two years. NOTE: Sorry, we're not there yet. The Hyatt Series has since been cancelled.